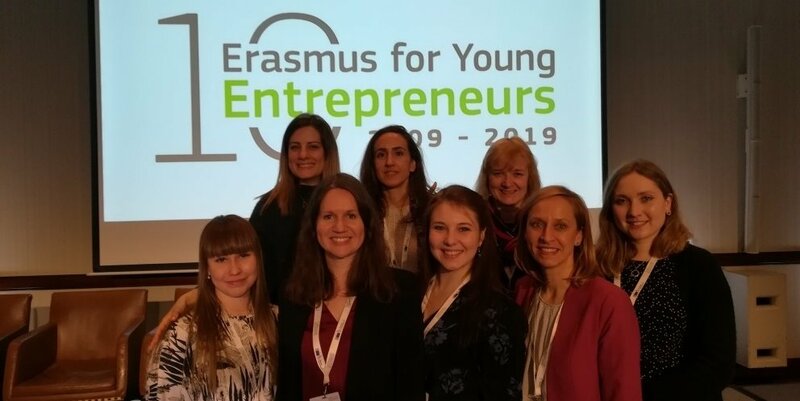 On March 18, around 200 intermediary organizations from all over Europe, and beyond, gathered in Brussels for the 23rd Network Meeting of the Erasmus for Young Entrepreneurs Program. On this occasion, the Programme, which this year celebrates its 10th birthday, has awarded 2 new entrepreneurs, Nelly Davtyan from Armenia and Ioannis Polychronakis from Greece, who thanks to their participation in the program were able to lay the foundations for their business and become successful entrepreneurs. 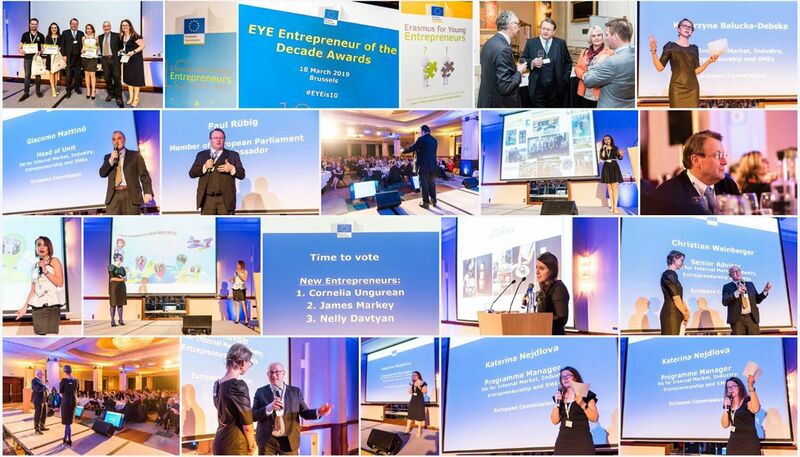 Since its launch in 2009, the Erasmus for Young Entrepreneurs (EYE) programme has helped to facilitate more than 7,000 collaborations between new and experiences entrepreneurs across the EU, enabling over 14,000 entrepreneurs to benefit from this EU-funded programme. In Brussels, the StartUp2 project partners, which started on February 1, 2018, took part in the celebrations for the tenth anniversary of the program and summed up the results of this first year of work. The partnership made up of partners from Italy, Finland, Serbia, the United Kingdom, France, Spain, Portugal and Latvia confirmed for the second consecutive semester as the best partnership of the Programme in terms of performance and exchanges executed. The Director for the COSME Programme at the European Commission in the Directorate General for Internal Market, Industry, Entrepreneurship and #SMEs, Kristin Schreiber, said: “Erasmus for Young Entrepreneurs is highly appreciated by entrepreneurs because it helps them boost their business in a tangible way. It helps to create new companies and jobs, and supports entrepreneurs on their path to growth. For example, between 2014–2016, over 250 new companies and more than 2,000 jobs were created thanks to the EYE experience. I want to see this programme grow in importance, with more and more successful entrepreneurs, more start-ups and more SMEs growing and scale-up within”. If you would like to boost your business idea or your new company, then take part in the Erasmus for Young Entrepreneurs programme.Through an exchange with an experienced entrepreneur in another European country, you will learn how to start and manage your business successfully. 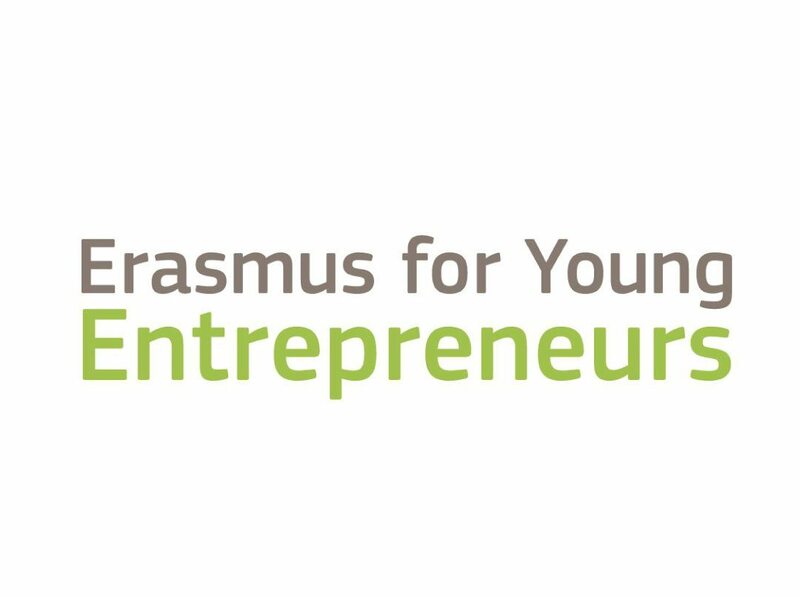 For more information on the Programme, please visit the Erasmus for Young Entrepreneurs website and to participate as a new or host entrepreneur write to entrepreneurs@cesie.org, we will be happy to accompany you during all phases of the realization of your exchange. The StartUp2 project is funded by the DG GROWTH, COSME – Erasmus for Young Entrepreneurs. CESIE, with the project StartUp2 – Start run and grow your business, is a local contact center for Erasmus for Young Entrepreneurs and supports both the new and the host entrepreneurs during all the stages of participation in the programme, the writing of the Business Plan, the research of the host entrepreneur and the realization of the exchange. We will be glad to accompany entrepreneurs and to support the growth of their entrepreneurial potential! BA School of Business and Finance(Latvia).